This book critically examines exports of Iranian natural gas to regional and international markets. Owning the world’s largest proven natural gas reserves, Iran can potentially be considered a major gas exporter. Yet, stringent international sanctions, coupled with domestic politicisation of the industry and lack of an ‘attractive’ investment framework, have made Iran unable to capitalise its huge natural gas potential both in domestic and international markets. In this book, a multidisciplinary approach is adopted to examine the main challenges hampering Iran’s ability to become a major gas exporter. These challenges range from political and legal to economic and fiscal. The issue of supplying gas to domestic or export markets in the light of the country’s current limited production capacity has turned into a major political debate between the Parliament and the Government resulting in failure to fully meet its supply commitments to either market. Inability to produce adequate volumes of gas and its ‘ambitious’ gas expansion policies both in domestic and international markets, has forced the country to import gas from Turkmenistan. The unexpected title of ‘a net gas importer’ for a country with the largest gas reserves in the world has raised many questions over the country’s ability to substantially contribute to the growing global gas market. In this book, attempts are also made to highlight the social and economic benefits of allocating gas to domestic and export markets. 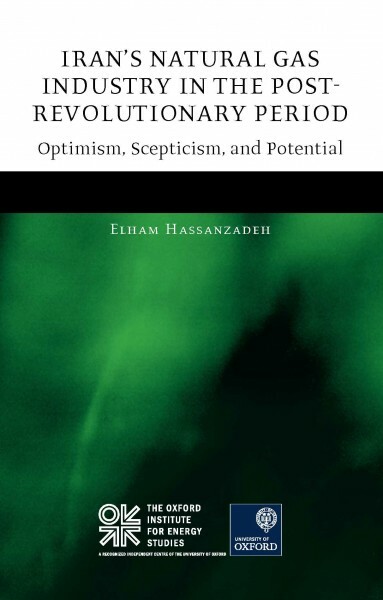 This book suggests that given the country’s huge domestic market, industrialisation targets, young population, and the necessity for job creation, as well as country’s dependence on gas re-injection into oilfields to maintain the oil production, Iran may not want to be ‘the next Qatar’ in terms of exports. Available data suggest that gas export is not the most beneficial economic outcome for Iranian gas; and for all of the foregoing reasons, and even if sanctions are removed, it would take Iran 15-20 years to develop such a major export capability. This book offers recommendations to policy makers to conduct comprehensive economic analyses over costs and benefits of allocating gas to domestic and export markets, while giving due consideration to the pressing issue of ‘welfare maximisation’ and distributional impact of consuming gas domestically. Elham Hassanzadeh joined the Institute Natural Gas Programme in 2012. She holds an LLB in Judicial law from Azad Tehran University, an LL.M in international commercial law from the University of Cambridge where she was a Shell Centenary Scholar, and a PhD in Oil and Gas Law and Policy from the Centre for Energy, Petroleum and Mineral Law and Policy (CEPMLP), University of Dundee. Her areas of expertise include petroleum contractual regimes in the Middle East and North Africa (MENA), the politics and economics of the Iranian oil and gas industry and energy subsidies reform in energy producing countries. Elham is a qualified barrister at the Iranian Central Bar Association, a visiting lecturer in Azad Tehran University and a Researcher to the World Bank on Iranian Investment Laws and Regulations. She is also a visiting fellow at the Global Subsidies Initiative (GSI) of International Institute for Sustainable Development (IISD) where her work focuses on energy subsidies reform in developing countries.